We often ask ourselves this question. There are many answers. Our players represent the great City of Dubuque, a task we as a club are proud to take up. We provide the opportunity for members of our community to showcase their abilities on and off the field by participating in our club. We want people who have the ambition and drive to be the best version of themselves, because that’s ultimately what we want to help everyone become. All that we ask of our players is to give their best and to commit to this club, because the commitment to what we are doing is just as important as the talent each player possesses. There are plenty of reasons to keep participating in sports after high school or college. Beyond the physical, social, and emotional benefits of adult sport participation, the growing notoriety of the American amateur soccer landscape provides opportunities to advance a playing career, as in the cases of Martin Jimenez, Dylan Williams, and countless others across the nation. 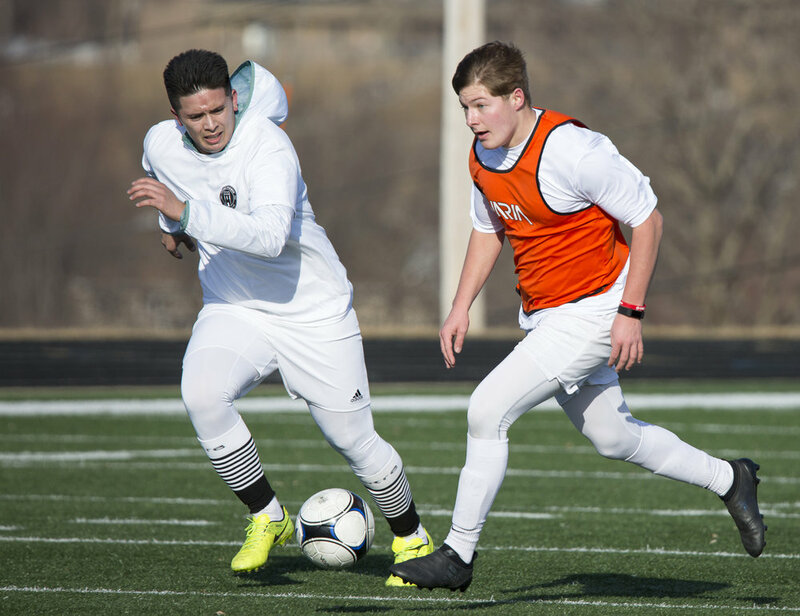 At Union Dubuque, we want to provide a high-quality experience for our players. Even though we’re officially an amateur club, we provide our players with everything that we are able to, because we believe that soccer is for everyone, not just those who can afford it. Alignment with our values is the most important quality that we can find in a new player. We hope to find players driven by passion and commitment to join our club. In the end, the experience and opportunity that we are able to provide our players influences everything that we do at Union Dubuque. So won’t you come join the Union? As we seek to fill several slots on our roster for the 2019 season and build on the success of last year, we will be holding open tryouts for any interested prospects.